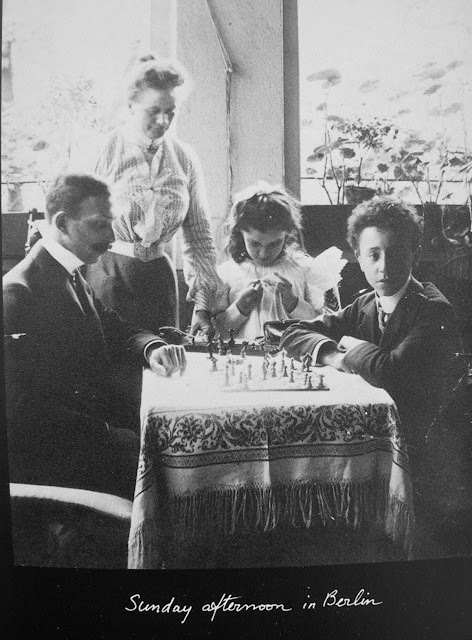 One of the most curious photos of chess history is found in Arthur Rubinstein's (1887-1982) Memoir: (Vol 1) My Young Years. New York: Knopf, 1973. It is simply called: "Sunday Afternoon in Berlin" with no identification as to who the people in the photograph are. Indeed, from left to right we have Akiba Rubinstein, the nanny, one of Arthur's sisters (Arthur was the youngest of 7 children) and finally the young music prodigy himself, Arthur. In the center of the table is a small chess set. The mystery is: was Akiba giving lessons to the you pianist? Or did Artur know how to play already. We'll never know. I spoke with John Rubinstein (b. 1946, in LA) who when asked about his father's chess activities, said he was not familiar with the matter. Arthur explicitly stated in his book that most of the photos which appear in this volume (1973) were given to him by friends. He had none. They were all destroyed by the Nazis in World War II. Be that as it may, I'm sure there was a strong and fond relationship between the two prodigies. Akiba (1882-1961) was born in Stawiski (est. 1407) a small Polish town in northeastern Poland. The last of 13 children, Akiba was sent to his maternal grandparent's home in Bialystok (reminiscent of Fiddler on the Roof cultural ethos) to be raised. His family had hoped that Akiba become a rabbi. Yet, due to circumstances beyond his contro, this was not to be. 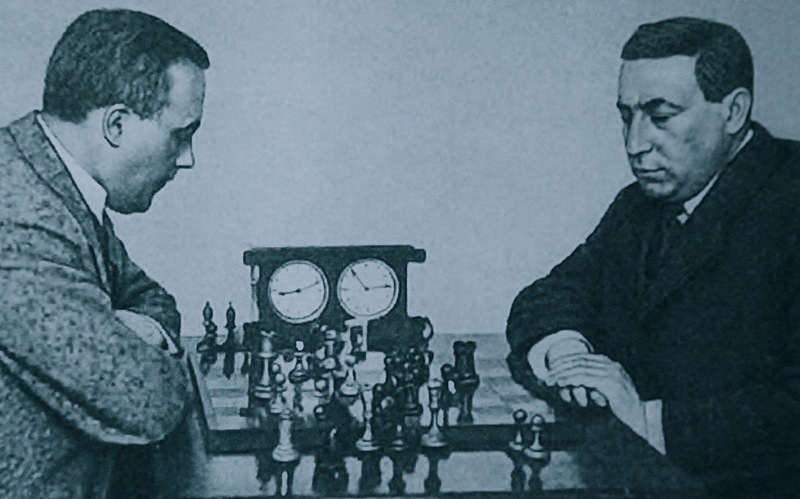 AR found chess, mastered it, and would have become World Champion had it not been for World War 1 which devastated Poland and Akiba's sense of emotional equilibrium. He played many brilliant games and won many tournaments, but the world chess championship was just out of his historical reach. He was in his prime in 1914. By 1920 after the war, Akiba was just not quite himself and never regained his composure to prosecute the arrangement of another championship match. Rubinstein was set to play Lasker in 1914, but the War interrupted the match. 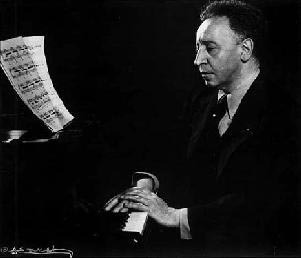 became Champion of Brussels in 1949. One last note for the aficianados of the issue of inheritance of "cognitive" traits as suggested by chess prowess. 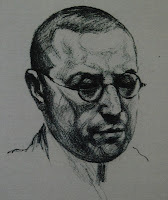 On Page 25 of Donaldson's book, 2011, Anna Rubinstein, Jonas's wife wrote that Akiba Rubinstein might be proud of his grandchildren from his eldest son: daughter Daniele, b. 1956 who is an MD psychotherapist and medical journalist and Michel, b. 1957 who is a specialist in nuclear medicine. Steve, very very interesting. btw, are the onion rolls called "bialy"s from Bialostoi? The names of Czech players are confused. Correct is: Gilg, Rejfíř (without diacritics = Rejfir), Opočenský (= Opocensky), Skalička (= Skalicka). YES! GM LARRY CHRISTIAN SIMUL TOMORROW!